Physical and special physical fitness of first and second year students which go in for boxing in the process of their physical training during one and two years, respectively, is defined here. The research involved 108 students: 54 students from first year and 54 students from second year, which were tested during the year (at the beginning and at the end). The following types of testing were used: standing long jump, lying dip up for 20 sec and 1 min, speed – 100 m running, endurance – running 3000 m, rope jumping (quantity per 1 min) and special physical fitness was determined by maximum quantity of left and right punches during 15 sec. There positive dynamics and growth of all physical fitness indicators of students who went in for boxing during the first year was defined. The students who went in for boxing for the second year showed better results and their dynamics (in addition to indicators of 100 m running speed). 1. Bondarchuk N. Physical development indicators of students of Uzhgorod National University from various biochemical areas of Transcarpathia. N. Bondarchuk. Theory and Methods of Physical Training and Sport. 2004; 2: 85–87. 2. Dehtyaryov I. Boxing: Manual for institutes of physical training. I.P. Dehtyaryov, K.V. Hradopolov, H.O. Dzheroyan, O.P. Topyshev and others. М. Physical Training and Sport. 1979. 3. Dilenyan M. Boxing and kickboxing: manual in physical training and sport. M.O. Dilenyan. Odesa: Legal Literature. 2002. 4. Hradopolov K. Boxing. K.V. Hradopolov. М. Physical Training and Sport. 1951. 5. Khimich I. Physical training and sport activities of student youth and their determinant factors. I.Yu. Khimich. Pedagogy, psychology and medical-biological problems. Kharkiv: KhSADA (ХХПІ). 2010; 3: 127–129. 7. Koptsev K. Qualifying standards to evaluate general physical fitness of junior boxers. K.N. Koptsev, H.F. Vasilyev. Boxing: yearly periodical. 1984. 8. Krylovskyi O. Development of physical preparation of students with the help of boxing. O.V. Krylovskyi. Physical training of students. Scientific Magazine. 2010; 1: 66–69. 9. Kuznyetsova O. Dynamics of physical fitness of students influenced by targeted development of physical qualities. 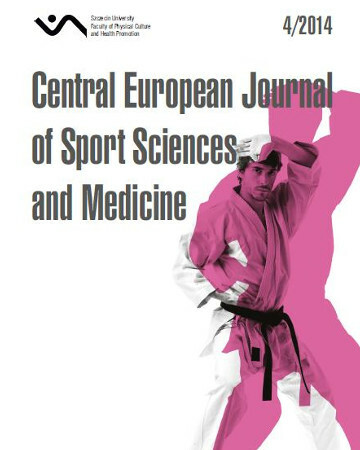 Young sport science of Ukraine: Collection of scientific papers in physical culture and sports. L. 2004; 8, 4, 3: 179–184. 11. Marchenko O. Attitude of students, which go and do not go in for sports towards physical training. O.Yu. Marchenko. Pedagogy, psychology and medical-biological problems. 2009; 9: 88–91. 12. Ostyanov V., Haydamaka I. Boxing. V.N. Ostyanov., I.I. Haydamaka. Kyiv. Olympic Literature. 2001. 13. State testing and qualifying standards to evaluate physical fitness of Ukrainian people. – К., 1996; 80.